a-Lacys reset is a proprietary blend of alpha-lipoic acid and cystine that was launched in 2013. It’s distributed by Nutraceuticals International Group. The company is based in New Jersey and has been working in the natural products industry for more than 35 years. Nutraceuticals International Group is a world-class supplier of high-quality y ingredients. Items in its range include fruit and vegetable extracts and botanical and herbal ingredients. Many top supplement manufacturers choose to use ingredients produced by Nutraceuticals International Group. It’s a company that knows its stuff. Alpha-lipoic acid is an organic compound that possesses strong antioxidant capabilities. Cystine is an antioxidant as well. It also helps modulate the glutamatergic system. 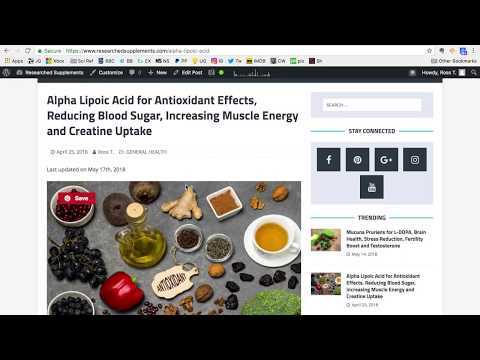 Although alpha-lipoic acid and cystine both have a lot to offer in their own right, they have a symbiotic nature. That’s just a fancy way of saying they work well together and enhance each other’s abilities. The antioxidant capabilities of alpha-lipoic appear to be good for controlling blood sugar levels and slowing, skin aging. In addition to this, it can reduce inflammation, improve nerve function, and provide a number of other benefits. People often take supplements that contain n-acetyl-cysteine because it’s a precursor to the amino acid cysteine. That’s all well and good, but the body has to convert them to cystine before it can reap the benefits. The cystine used in a-Lacys reset requires no such conversion. It’s good to go right from the start because it’s an oxidized form of the amino acid. The antioxidant capabilities of cystine allow it to benefit overall health in many ways. Some researchers feel it may be especially promising for treating psychiatric conditions. a-Lacys reset was originally developed to provide protection against oxidative stress. It has since proven to have value in a number of other areas including weight loss and improving body composition. Unless you spend most of your life wearing a white lab coat and getting up close and personal with microscopes and test tubes, a-Lacys reset and the way it works is complicated stuff. We don’t want to blind you with science or cause you to have steam coming out your ears. That’s not what Researched Supplements is all about, so let’s try and keep things simple. With ingredients of this nature, there are the benefits you see and feel and the benefits that are happening behind the scenes. For instance, a-Lacys reset fights fatigue. That’s a benefit you can feel. However, improved ATP synthesis is something that’s happening behind the scenes on a biological and chemical level. Let’s get rid of that word “synthesis” and replace it with “production”. ATP (adenosine triphosphate) is an energy-carrying molecule. It’s in the cells of all living things. ATP has the job of converting the chemical energy provided by food and putting it to work as energy. All this is happening at the cellular level. It’s an unseen power that enables you to do all those important things like breathing and moving about. When the body extracts energy from food it stores it within the muscles and organs. Then, when the need arises, it converts the stored chemical energy to ATP and puts it to use straight away. Oxidative Stress is another thing that occurs in the body behind the scenes. Make no bones about it though. Left unchecked, you will see and feel the effects in many ways. Again, we’re not going to delve too far into white coat territory here. However, the body obtains free radical toxins from food and from the environment. The body also generates free radicals internally. Anti-oxidants have the job of keeping these dangerous toxins in check. It’s a war that’s waged on the cellular level. When the free radical troops outnumber those in the other camp your body goes into a state of oxidative stress. a-Lacys reset acts like a super-antioxidant and helps prevent these things from happening. However, there is no substitute for a healthy lifestyle. It’s still important to avoid smoking, heavy drinking, unhealthy food, and other things that can send reinforcement to the army of free radicals hiding in your body. Lipolysis is the process the body uses to breakdown stores of body fat and make it available for energy. The word “Anabolic” is often associated with bodybuilding because an anabolic state is necessary for muscle growth and repair. Conversely, “catabolic” refers to the state the body is in when it’s breaking down muscle tissue. Once again, lipolysis, anabolism, and catabolism are processes that happen behind the scenes. By improving lipolysis, a-Lacys reset helps prime the body for fat loss. This allows it to be a good diet pill ingredient. However, weight loss also requires a calorie-restricted diet. Restricting the calorie intake helps encourage the energy shortage that is necessary for weight loss. The problem is, the lack of calories can also cause the body to enter a catabolic state and start breaking down muscle tissue as well. By encouraging fat burning while also helping maintain an anabolic state, a-Lacys reset can support weight loss without loss of muscle mass. Going one further, it appears to be capable of helping people to actually improve muscle mass while dieting. The participants in one study lost more than seven percent of their body fat while also attaining improvements in muscle mass. The body gets chemical energy from food and then converts it to ATP at the cellular level to put that energy to use. We’ve already covered that. It’s old ground, but we need to revisit it. This process is called cellular respiration and it can occur with or without oxygen. During normal activity, the blood provides the muscles with sufficient oxygen to maintain a sufficient level of energy. Scientists call this process aerobic respiration. However, when the muscles are worked harder the oxygen supply can plummet. When this happens, the muscles can produce energy for a little while without oxygen (anaerobic respiration). It’s the condition that causes you to get out of breath while exercising. There’s something else going on behind the scenes as well. Anaerobic activity causes a build-up of lactic acid. This acid is responsible for the burning sensation in the muscles and feelings of fatigue that force you to slow down or stop. You cannot maintain anaerobic activity for long. It’s biologically impossible. a-Lacys reset is a versatile ingredient that can support weight loss, make exercise easier, and improve muscle growth. It also supports good health by offering protection against oxidative stress and all the various diseases and medical conditions it can present. Lots of ingredients have abilities in one or more of these areas, but a-Lacys reset offers a unique combination of benefits other ingredients cannot match. Used alone or in combination with other compounds, it’s an exciting ingredient that has a lot to offer.